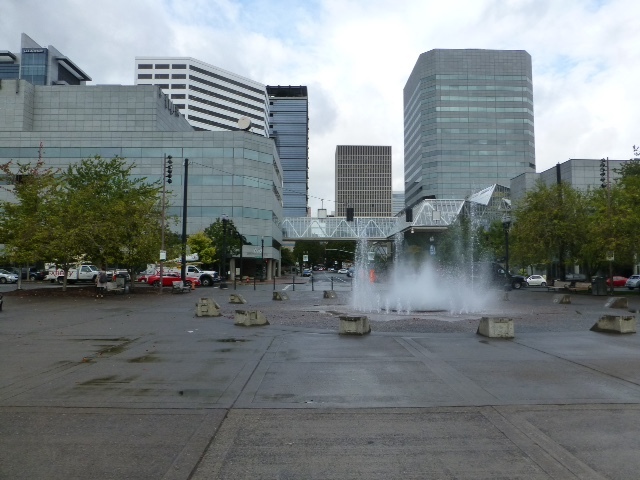 We found Portland to be a vibrant and comfortable city to visit. As far as city driving goes, it wasn't too congested. But trying to find a parking spot often presented a challenge. Our B&B was in an old neighborhood on the east side of Portland. 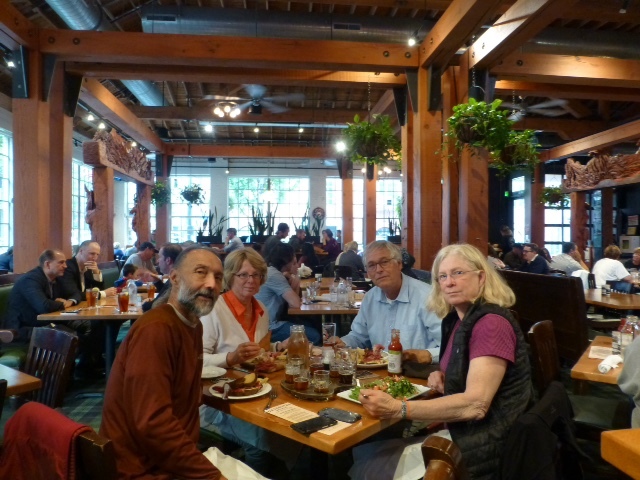 Our hostess was a tall, 6'3", blond, who had been a former university volleyball coach. 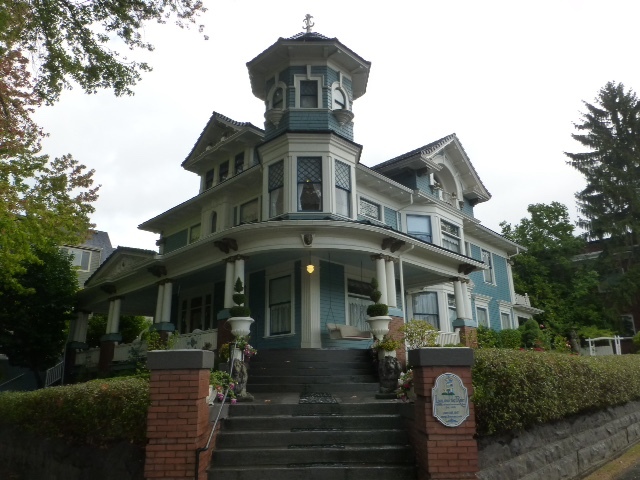 The house was an old Victorian style home with several guest rooms but only two bathrooms. Fortunately, we were the only guests and had the run of the house. 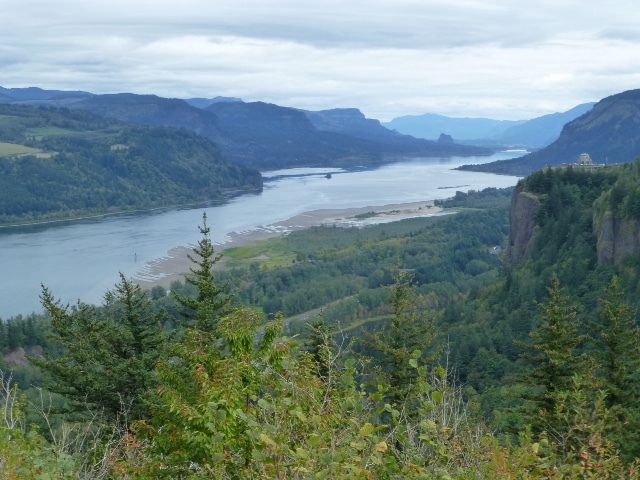 Our first day's adventure was to take the drive along the Columbia Gorge on Highway 30. 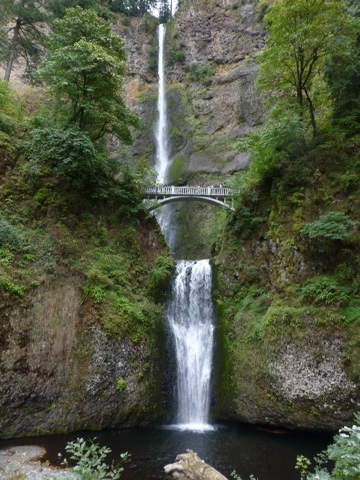 Lots of waterfalls and spectacular panoramic views. 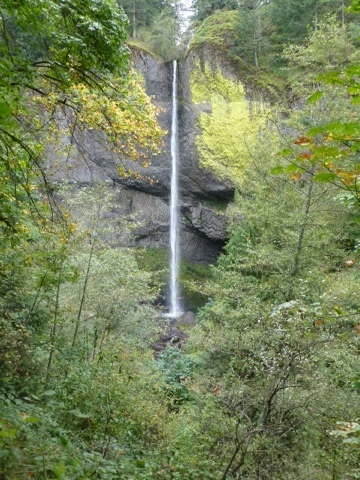 After several short hikes to waterfalls, we pulled into the Bonneville Dam and fish hatchery. 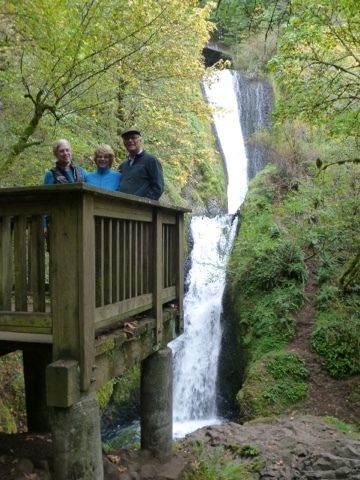 We thought we'd only visit for a few minutes to see the dam and the hatchery. 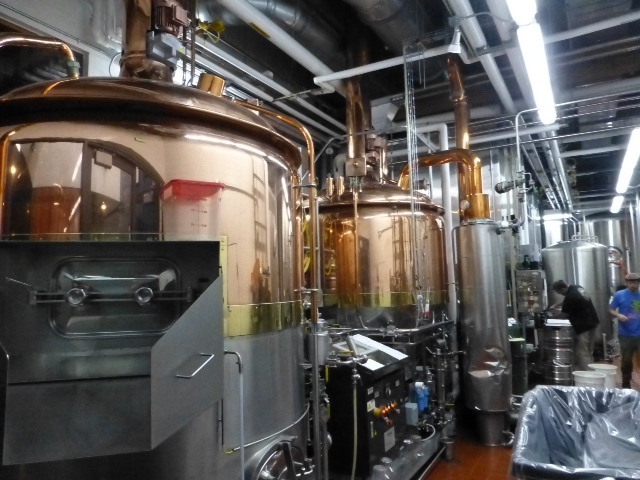 As it turns out, we spent several hours there touring the operation and the hatchery. 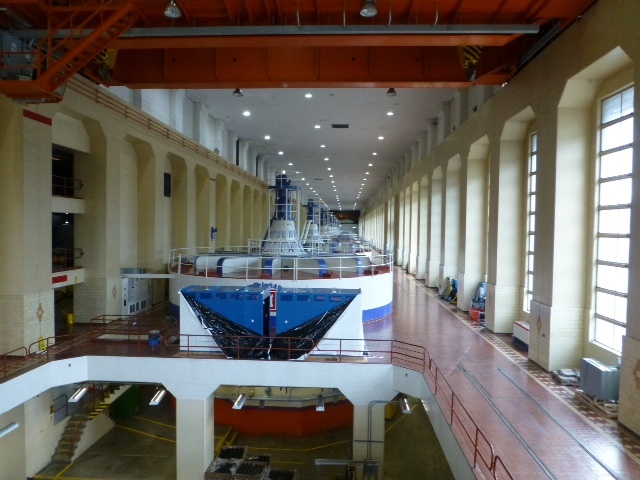 The turbines in the plant were originally installed in the 1930's. But in the 1990's they were replaced with newer technology. From where the photo was taken to the other end is 900 yards. 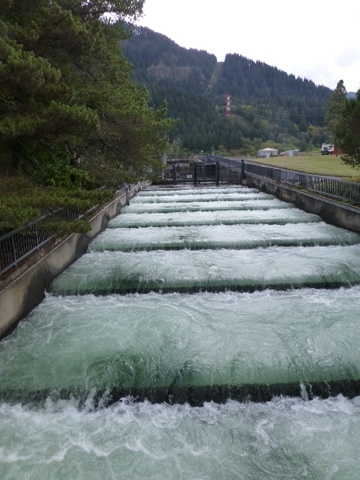 At the dam, they take care to provide steps where salmon can swim through, as they make their way up the river to spawn. As they swim upstream, fish counters at underwater windows count the fish and track size and specie. 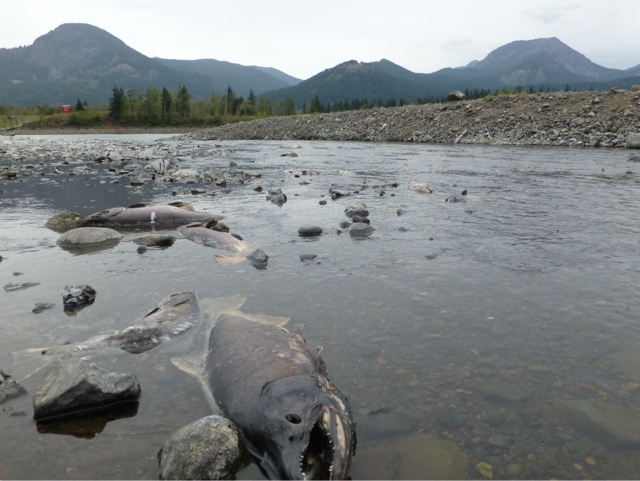 But after spawning, the salmon die. Creeks are littered with fish carcasses - and it smells awful. 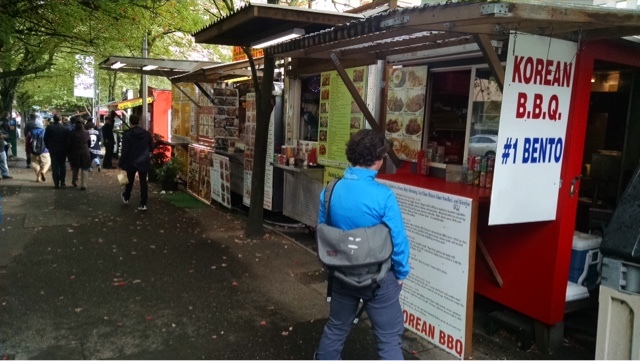 Portland is known for its food trucks. They have a whole area in town with them. 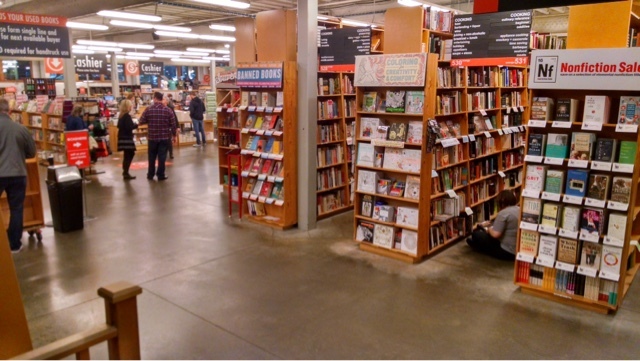 Powells' Books is a giant book store that encompasses an entire city block. 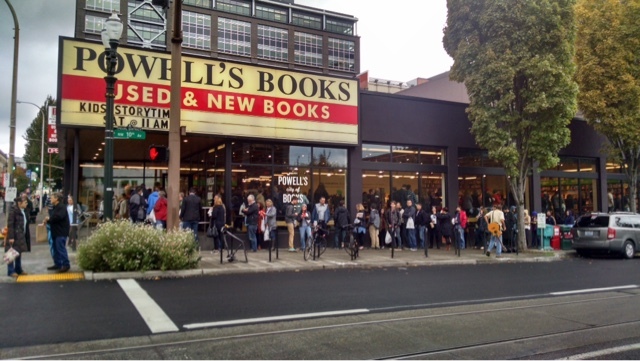 On the day we went, crowds were lined around the block to buy their book from The Boss himself - Bruce Springsteen. 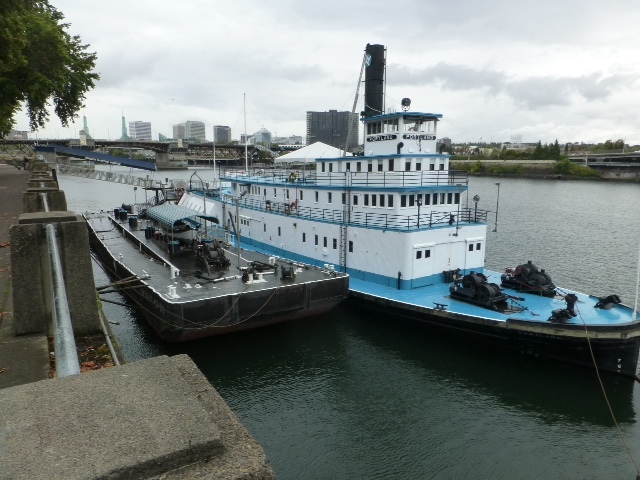 The Portland Maritime Museum. Unfortunately it was closed. 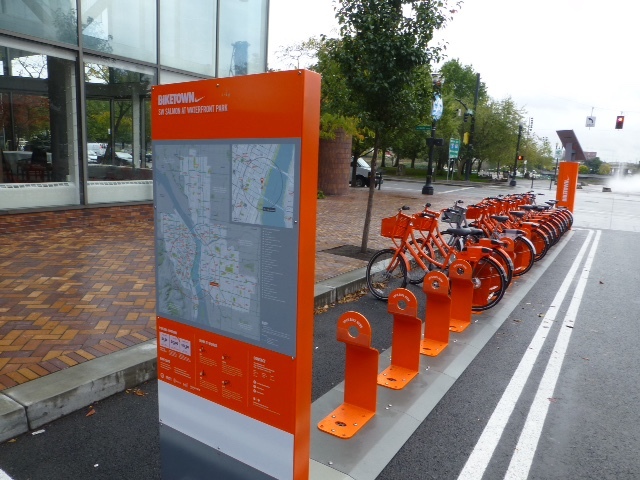 Nike, based in Beaverton, OR, sponsors these shared bikes. 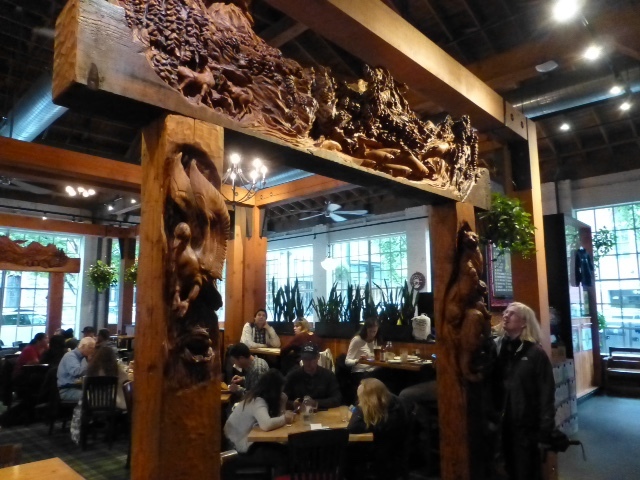 The Deschutes Brewery is renowned for its beers, ales and good food. They didn't disappoint. While walking around our B&B neighborhood, I spotted this majestic Vicorian house that was also a B&B. 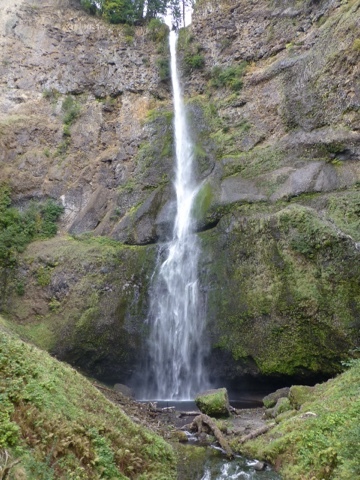 After three days in Portland, we packed the van and headed south for Lava Beds National Monument.